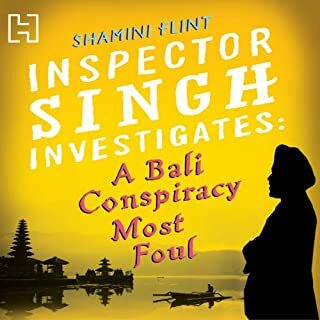 Inspector Singh is back, but this time on secondment to Bali. A bomb has exploded and Singh has been sent to help with anti-terrorism efforts. But there's a slight problem: he knows squat about hunting terrorists. He's much better suited to solving murder! 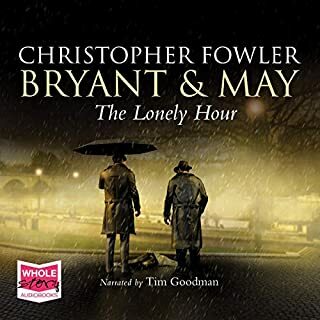 So when a body is discovered in the wreckage, killed by a bullet before the bomb went off, Singh should be the one to find the answers - especially with the help of a wily Australian copper by his side. The Girl with the Dragon Tattoo introduced us to Scandi noir. 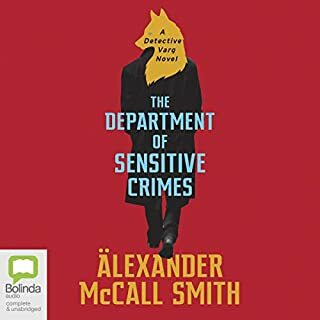 Now, welcome to Alexander McCall Smith's world of Scandi blanc... Ulf Varg works in Malmo's Department of Sensitive Crimes. Like all Scandinavian detectives he has his issues. In his case these include his unresolved feelings for his colleague, Anna; his impatience over the seeming incompetence of his irritating colleague Blomquist; and his concerns for the health of his hearing-impaired dog, Marten, the only dog in Sweden (and possibly all Scandinavia) who is able to lip-read (in Swedish). A Charming Meander Leading Nowhere in Particular! Inspector Singh is home - and how he wishes he wasn't. His wife nags him at breakfast and his superiors are whiling away their time by giving him his usual 'you're a disgrace to the force' lecture. Fortunately for Singh, there is no rest for the wicked when he is called out to the murder of a senior partner at an international law firm, clubbed to death at his desk. 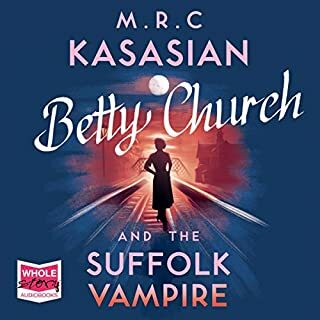 When hordes of people descend on the picturesque village of Nasely for the annual celebration of its most famous resident, murder mystery writer Agnes Crabbe, events take a dark turn as the festival opens with a shocking death. Each year the residents are outnumbered by crowds dressed as Crabbe’s lady detective, Millicent Cutter. The weekend is never a mild-mannered affair as fan club rivalries bubble below the surface, but tensions reach new heights when a second Crabbe devotee is found murdered. Though the police are quick to arrive on the scene, the facts are tricky to ascertain as the witnesses, suspects and victim are all dressed as Miss Cutter. 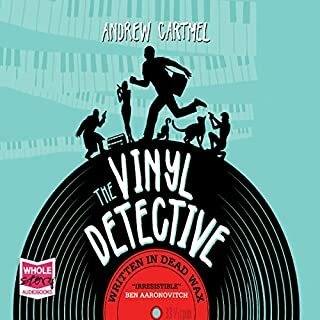 Brilliantly funny crazy village crime caper! 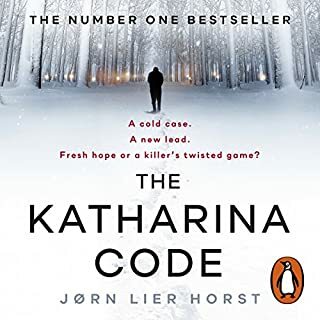 Twenty-four years ago Katharina Haugen went missing. All she left behind was her husband, Martin, and a mysterious string of numbers scribbled on a piece of paper. 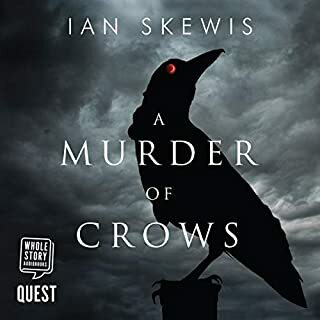 Every year on October 9th Chief Inspector William Wisting takes out the files to the case he was never able to solve. Stares at the code he was never able to crack. And visits the husband he was never able to help. But now Martin Haugen is missing too. Wayward daughters. Missing Husbands. Philandering partners. Curious conmen. 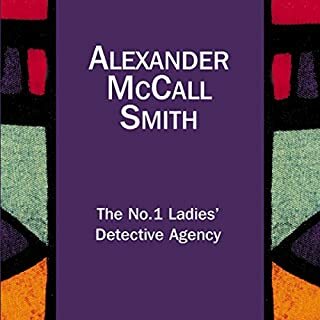 If you've got a problem, and no one else can help you, then pay a visit to Precious Ramotswe, Botswana's only - and finest - female private detective. 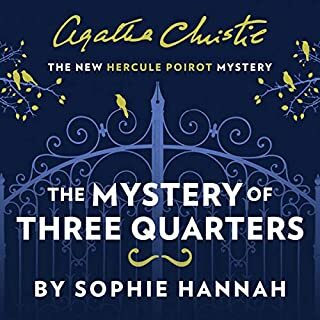 Her methods may not be conventional, and her manner not exactly Miss Marple, but she's got warmth, wit and canny intuition on her side, not to mention Mr J.L.B. Maketoni, the charming proprietor of Tlokweng Road Speedy Motors. 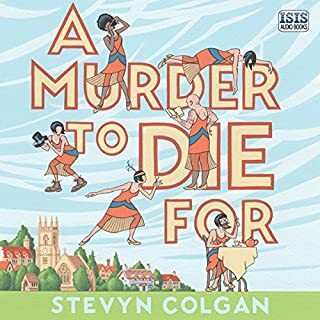 Mumbai, murder, and a baby elephant combine in a charming, joyful mystery for fans of Alexander McCall Smith and Harold Fry. On the day he retires, Inspector Ashwin Chopra inherits two unexpected mysteries. The first is the case of a drowned boy, whose suspicious death no one seems to want solved. And the second is a baby elephant. 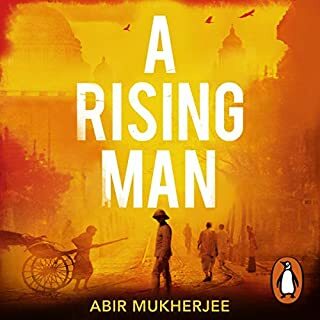 As his search for clues takes him across the teeming city of Mumbai, from its grand high-rises to its sprawling slums and deep into its murky underworld, Chopra begins to suspect that there may be a great deal more to both his last case and his new ward than he thought. What a fantastic "read" enjoyed every single word. I came across the book when the author was interviewed on BBC Radio 2, his enthusiasm for the storyline was evident. This isn't a story about an elephant its a well written story about a central character and the many and varied people who he comes into contact with. The twists and turns keep coming right up to the last word. Really enjoyed it and can't wait for the next episode. Indian police officer with a pet elephant. an Indian police office about to retire inherits a baby elephant. Should he investigate an suicide/murder on his last day of work. He must but has to do it on his own time as he embarks on retirement. Would you listen to The Unexpected Inheritance of Inspector Chopra again? Why? 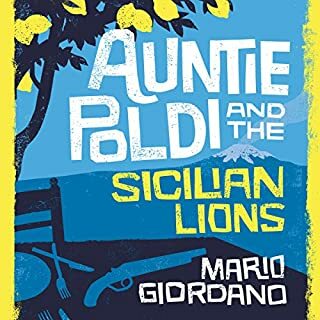 A nice gentle, quaint read with a flavour of the old and the new India. 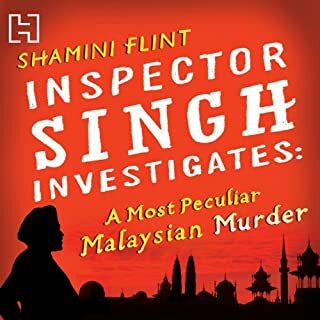 Would you consider the audio edition of The Unexpected Inheritance of Inspector Chopra to be better than the print version? Haven't read the print version. What was one of the most memorable moments of The Unexpected Inheritance of Inspector Chopra? Ganesh saving the Inspector's life. What does Sartaj Garewal bring to the story that you wouldn’t experience if you had only read the book? The flavour of India without being stereotypical. Great story. Can't wait to get the next one. India is a beautiful setting for this original take on the genre. A gift of a Baby Elephant?? If you could sum up The Unexpected Inheritance of Inspector Chopra in three words, what would they be? Inspector Chopra himself of course. This being the first in the series of the baby Ganesh Detective Agency a lo of time had to be given to him as the main character. Vaseem Khan described him so well he felt very real to me, human and fallible, but genuine and essentially a 'good' man. The effort he went to, to try to help the baby elephant. Of course Ganesh could also be described as the main character! Honestly? Really it was when Ganesh starts to eat. I hadn't realised, but up until then I had been holding my breath rooting for him as he got weaker and weaker and more and more sad. 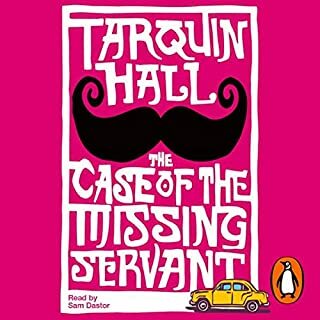 Narrator, Sartaj Garewal, was excellent too. Thanks to his voice and the writing I could almost smell and taste Mumbai. There had better be lots more in the series!! 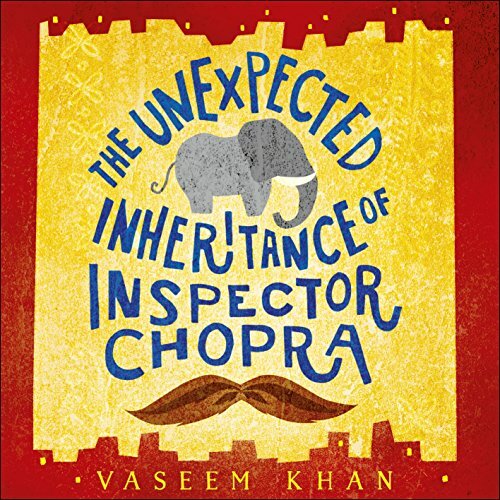 Where does The Unexpected Inheritance of Inspector Chopra rank among all the audiobooks you’ve listened to so far? 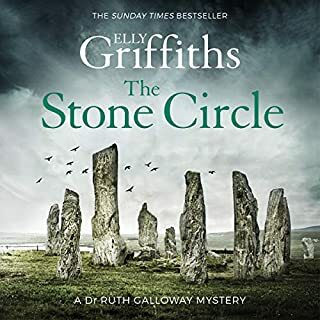 I would actually say it ranks near the top as I was addicted to the main character Inspector Chopra and his second in command.. and I do mean the one with the big ears and long trunk!! The most memorable moment for me was when Inspector Chopra risks his own life to save his new friend. 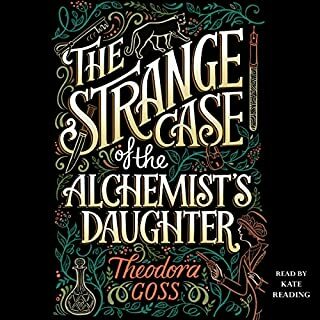 I do not want to spoil it for other listeners or readers but it was certainly worth the listen and read. Every scene which took place within this book was my favourite as it developed into one excellent work of fiction, one thing I did enjoy it showed the real India throughout. 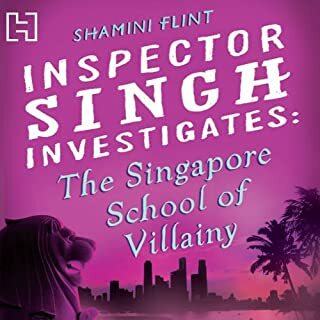 I would not say it made me laugh or cry but it certainly kept me on the edge of my seat to see whether Inspector Chopra and his side-kick lived to fight crime another day. 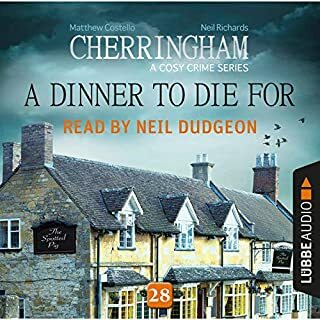 If you liked the Ladies Detective agency series or even Hamish Macbeth etc. this one will suit your taste.